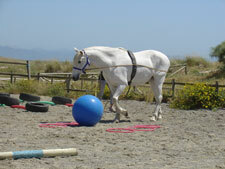 Horse Assisted Development is an effective and impacting method for participants to develop their communication skills, increase self awareness and inspire teamwork, collaboration and trust through genuine leadership. All attributes are readily transferable to the workplace. Participants will discover a great deal about themselves as they learn to achieve tasks with horses without the benefit of verbal communication, building trust through empathy and finding solutions via inventive thinking. You want to develop an authentic leadership style that instils commitment and engagement in others, creates a high performance culture and a more productive and motivated workforce. You want to be a better leader, trust yourself, inspire trust in others and be able to rely upon others in return. You want to develop your own self-awareness, emotional intelligence, be more consistent, a better communicator, more confident. You need to understand how your actions impact upon others. You want to improve your working relationships, get immediate and direct feedback on your style, try out different approaches and see the response. You want to work on gaining and maintaining trust, achieving rapport by establishing a relationship based on mutual trust. You need your team to work more effectively. You want to understand the dynamics, the successes and failures. How to achieve cohesiveness. A new approach to experiential learning with the distinct ability to rapidly identify the core strengths and weaknesses of your interpersonal skills. A results driven programme providing high impact personal and professional development with a difference via a uniquely interactive and rewarding medium.